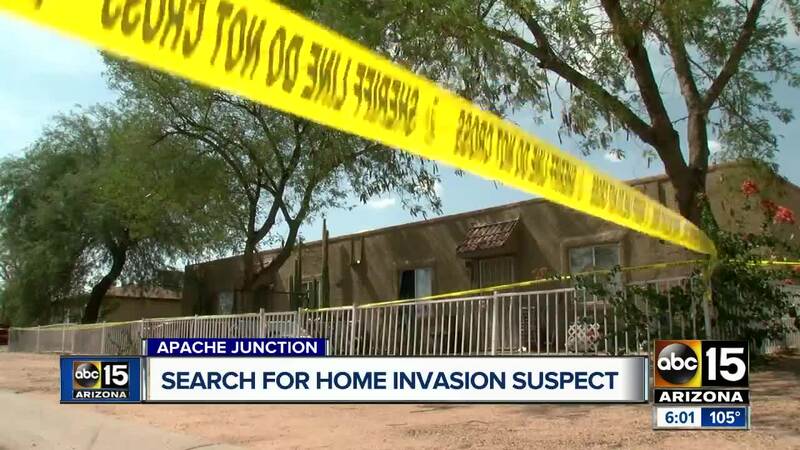 The Pinal County Sheriff's Office is searching for a suspect following an armed home invasion in Apache Junction that left an intruder dead. According to PCSO officials, deputies were called to a home near Southern Avenue and Tomahawk Road around 11 a.m. Saturday after reports of an armed home invasion. One of the suspects reportedly got into a struggle with the homeowner. The homeowner shot the suspect, who was later pronounced dead at the hospital. The suspect's identity has not been released at this time pending next of kin notification. The homeowner did receive some injuries during the struggle, deputies said, while other people inside the home at the time were not injured. 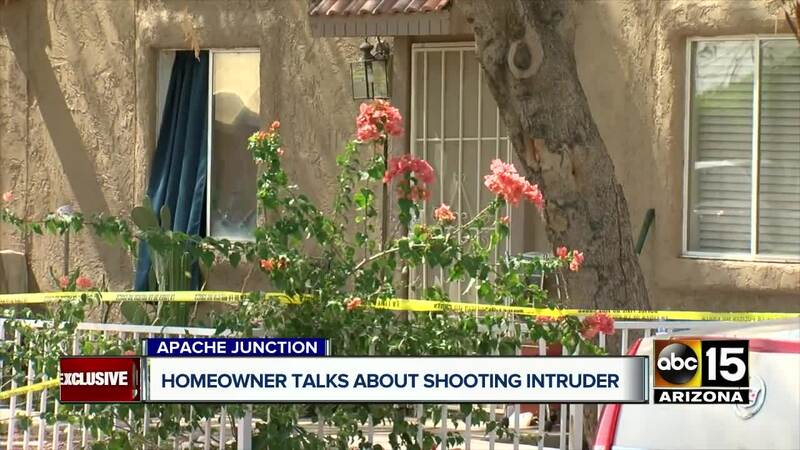 The homeowner, who did not want to be identified, told ABC15 two armed guys stormed in. "I never ever saw these guys before yesterday," he said. The man believes the intruders were looking for money. "The instigator...he puts a gun to my head and says (it's) a good day to die, isn't it?" the man said. The homeowner says he decided to fight back. "They immediately panicked," he said. "They didn't think I was going to resist at all. They underestimated me." At one point, the homeowner says he managed to wrestle away one of the intruder's guns and shot him. "I gave as good as I got to both of them," he said. "They're both taller than me, half my age and they had loaded weapons in my home that they brought, and I shot and killed a man with his own gun." The homeowner says the other man, and a woman who was with them escaped out a window. 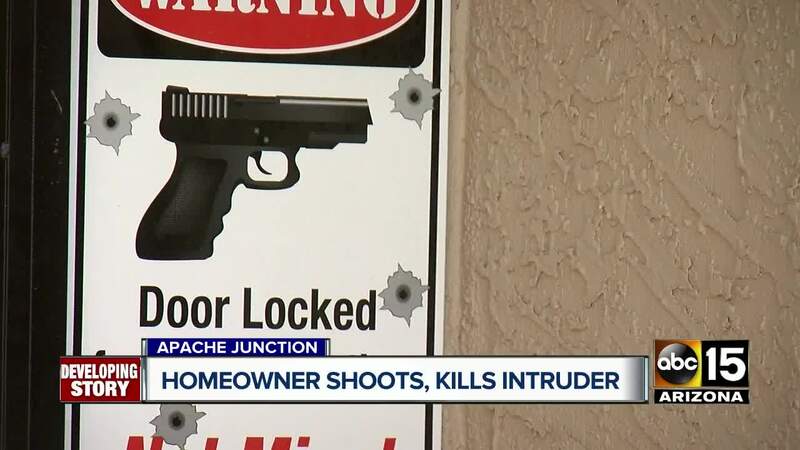 The Pinal County Sheriff's Office hasn't confirmed whose gun the homeowner used, nor provided a motive for the break-in. 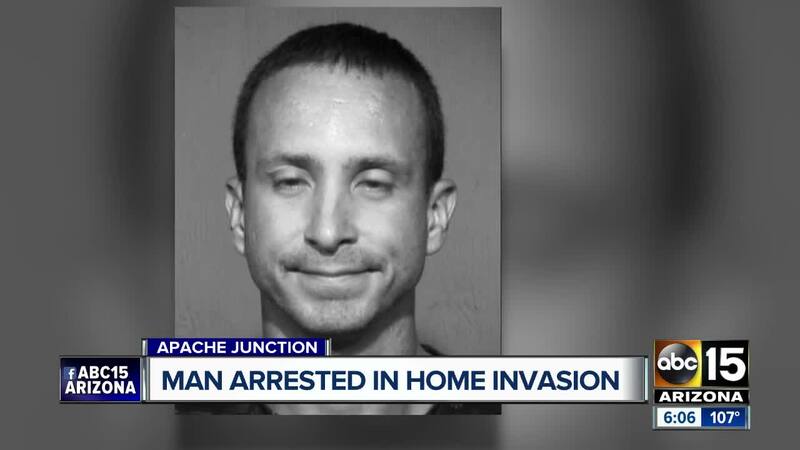 On Monday, officials say they located 34-year-old Aaron Ryan in Phoenix who was wanted in connection with the home invasion. An officer conducted a traffic stop on him before 3 a.m. near Tatum Boulevard and Greenway Road. Ryan had reportedly given the officer false information during the stop and when he was asked to step out of the car, he allegedly pushed the officer and took off running. He was later taken into custody and has been booked into jail on multiple charges, including aggravated assault on an officer, resisting arrest, and possession of dangerous drugs. 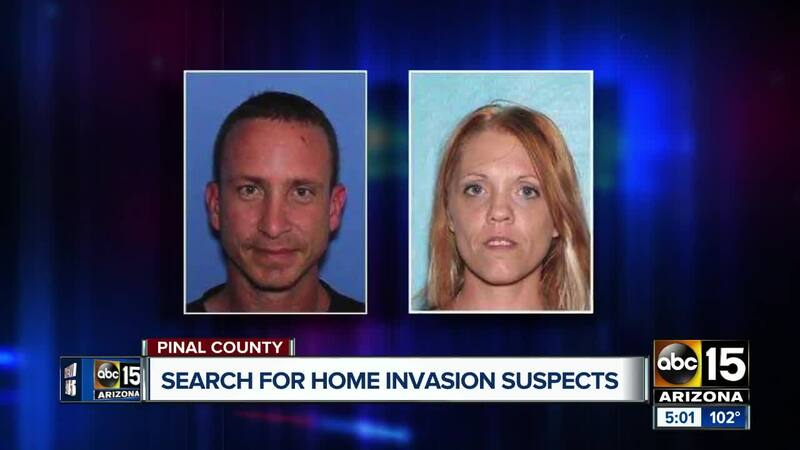 Officials say they are still searching for 36-year-old Rachel Faye Ryan who is also wanted in connection with the home invasion. Authorities are asking the public to not approach her, she is considered to be armed and dangerous. If you have any information on her whereabouts, you are asked to call PCSO at 520-866-5111.